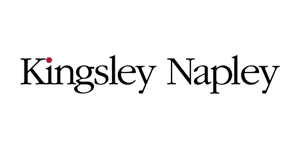 9 Bedford Row thanks Kingsley Napley LLP for hosting yesterday’s seminar on international law. The event saw members of Chambers’ International Practice Group deliver presentations on international criminal, humanitarian and human rights law. Steven Kay QC began the event with a whistle-stop tour of international criminal law, moving from the Nuremburg and Tokyo WWII trials to the International Criminal Court via ad hoc tribunals such as the International Criminal Tribunal for the Former Yugoslavia. Next, Toby Cadman outlined some of the investigative, legal and political issues and challenges involved in international practice. Toby highlighted some of 9BRi’s current international instructions, including the ‘Gaza Flotilla’ case, the representation of defendants detained at Guantanamo Bay, issues concerning Syrian torture victims, and the investigation of human rights abuses in Iraq. David Hammond concluded the evening with a presentation on corporate social responsibility, which focused on business and human rights in the maritime industry. David addressed the industry’s emergent need for practitioners with expertise in this specialised field, and referred to recently introduced legislation and soft law such as the UN Guiding Principles on Business and Human Rights and the European Parliament’s amendment of Council Directives 78/660/EEC and 83/349/EEC.